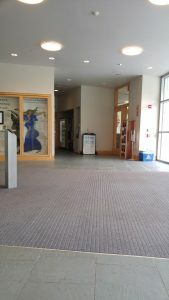 Davis Family Library will be closed all next week (June 12th through the 18th) so that a contractor can rework the floor grates in the vestibule. The front doors will be inaccessible and the vestibule (including the rest rooms, ATM, and cafe space) will also be inaccessible from both the outside and the inside. and the library’s e-books and online journals and databases will be available – see go/lib/ to find them. 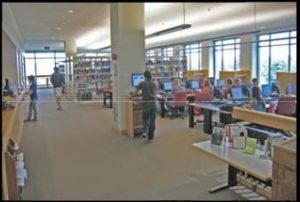 This entry was posted in Middlebury Community Interest, Post for MiddPoints and tagged Library Spotlight on June 9, 2017 by Arabella Holzapfel.